After a long and taxing day, all you want to do is lie down and sleep on your warm and soft bed. However, there are times when you can’t quickly fall asleep. There are a lot of factors why you can’t sleep, such as unpleasant odor, distracting noises, or overthinking about problems. Getting enough sleep at night is essential. If you don’t get quality sleep, you won’t have the energy for the next day. Here are some nifty tips to help you sleep better at night so you can wake up refreshed in the morning. The light from the screen can distract you, making it harder for you to fall asleep. Turn off your TV and other appliances at least an hour before you go to sleep. Don’t place your phone near you because you might get tempted to keep using it and you’ll sleep later than your usual sleeping time. It’s okay to take naps, but do it in the earlier part of the day. If you sleep in the afternoon, you’ll feel awake at night. If you feel sleepy during the afternoon, do something to wake yourself up like taking a short walk or talking to somebody. Allot 7 hours per day for sleeping, but don’t sleep for more than 8 hours. Set a schedule for your sleeping time. Try to wake up and sleep at the same time every day even on weekends. If you have a hard time falling asleep, do something relaxing such as listening to music. If you’re currently looking for a new apartment, Your Next Place should be relatively quiet. If you can, find an apartment which doesn’t have a lot of noise. You’ll have a more difficult time falling asleep if there’s a lot of sounds like car horns blaring in the middle of the night. You can’t sleep well if you’re hungry. You can’t also rest if you overeat. Heavy meals will give your digestive system a hard time, and you might find yourself not being able to sleep. Avoid caffeine as early as noontime. It might seem too soon for you, but caffeine can prevent you from falling asleep at night. Watch out for alcohol as well. It can make you sleepy, but it can also keep you awake later in the night. If your pillow is too big, too soft, or too firm, it will affect your sleeping time. Make sure to look for one which is the most comfortable so you won’t wake up with a stiff neck. Here are some pillow types which you can consider. Down: This pillow is more expensive than some types, but it’s the softest pillow available. Microbead: This pillow adjusts to your shape while you sleep. It also retains its original shape once you leave the bed. Neck: Neck pillows are designed to support the spine, aligning your neck and head so you can sleep better. Body: Body pillows are long pillows which you can hug and place between your legs. It offers hip and back support. Lumbar: People who experience back pain use this pillow. It supports an area near the lumbar spine. Some paint brands contain high levels of VOC or Volatile Organic Compounds. Exposure to VOC can lead to short term and long term health problems. If you recently had room painting done for your bedroom, sleep in another room for a while to at least allow the hazardous compounds to dissipate. Not only can you sleep well if you keep inhaling fumes, but it’ll lead to illness such as URTI or Upper Respiratory Tract Infection, Aspiration Pneumonia, Bronchitis, Lung Cancer, etc. Sleep is an essential part of taking care of our health. The amount of sleep that you get can affect your performance for the rest of the day. If you can’t fall asleep quickly, you can check out the tips listed to help you sleep better. 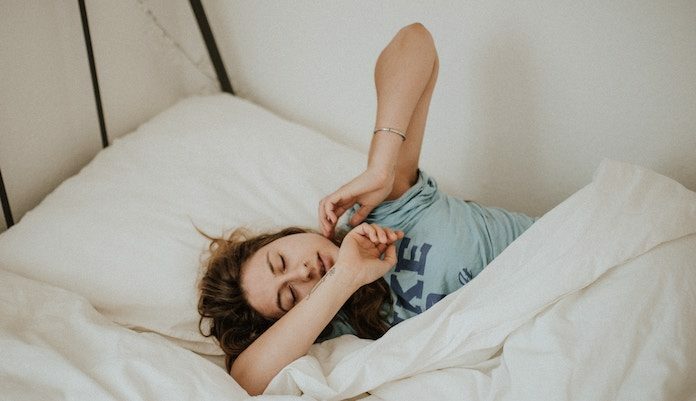 Better sleep will give you a better day. So make sure that you sleep well at night so you can have a great day ahead of you.